Photo provided by Grant Rainwater. As the gas stations whiz by, he frantically tries to scribble down the varying gas prices onto his spreadsheet. He’s intrigued by the difference: why aren’t they all the same? Since he was in elementary school, senior Grant Rainwater has been interested in finance and business. His intrigue led him to start an online business through eBay his freshman year. 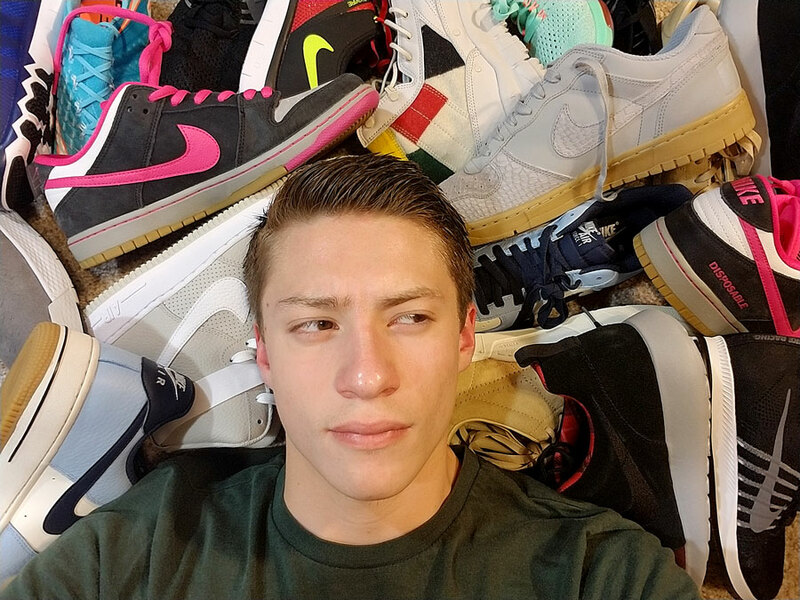 Grant primarily buys Nike gear, like shoes and clothes, from a Nike outlet store and sells it online. An employee at the outlet knows about Grant’s business and lets him know about new stock. Sometimes, he sells anything he can get his hands on, even a go-kart. Grant started by selling small things in order to get customer feedback so that other customers would be inclined to buy his products. Once he started getting attention, he learned a few things like how to deal with interesting customers. Even though he’s had his fair share of weird customer incidents, Grant’s favorite one is about a customer from Brooklyn. Grant’s parents, Greg and Anna Rainwater, approve of his business because, according to Grant, they don’t have to give him money since he has his own income and because it doesn’t take time away from his school work. Grant gets to pocket whatever is left after he pays for shipping the item and after eBay takes 10 percent of the sale. Early in the business, Greg would buy the items and every three months, Grant would reimburse him after having sold the products. During the last two years, though, Grant has made enough money to fund his own purchases, learning along the way about important aspects of business. Grant hopes to attend Texas Christian University, where he attended an investment camp over the summer. He plans to major in accounting and is submitting a written piece about his business alongside his application to the university. According to Greg, a lot of people don’t realize how much hard work goes into Grant’s business. In fact, sometimes people don’t take him seriously.